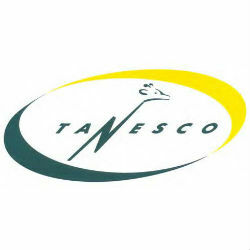 According to an announcement made this week by Eng Felchesmi Mramba, Managing Director of the Tanzania National Electric Supply Company (TANESCO), the company aims to generate 1.7 GW from natural gas in the next two years. Eng. Mramba also indicated that the constant power cuts and inadequate electricity supply that affect Tanzania are due to overloaded electric lines rather than the amount of electricity actually produced that is deemed enough to meet the needs of consumers. The government’s aim is to reach 30% by 2016. TANESCO’s generation system consists mainly of hydro and thermal based generation. In 2012 hydro contributes 57 % of total power generation, while gas and thermal contributed the remaining amount, generating a total of 3,110,436,062 kWh. During the same period the electricity imports from Independent Power Plants (IPPs) and neighboring countries (Uganda and Zambia) were 2,649,320,551 kWh.